Mazel Tov! 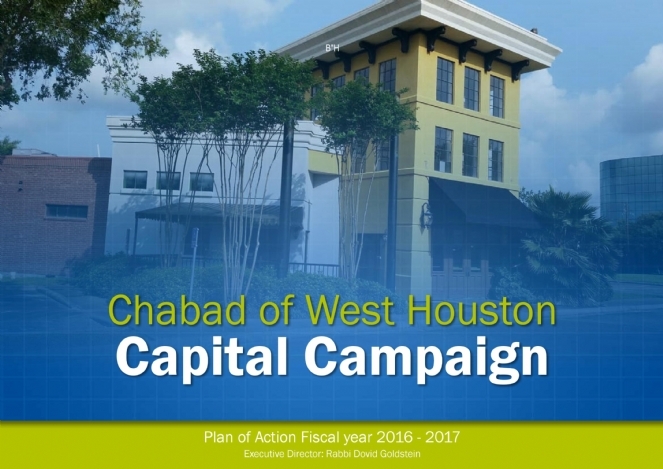 With thanks to G‑d, on Friday July 15th, we purchased a building and property in West Houston. Thank G‑d over the last 7 years we have expanded to the point that we need a permanent space in the West Side. This will enable us to save money as our mortgage will be considerably lower than our current rent, and we will be able to host large crowds for holidays instead of paying high hotel rental fees. We are now launching a capital campaign in order to remodel the facility. Click on the above picture to access the proposal which contains budget information and naming opportunities. To donate on line click here. Looking forward to your partnership in this crucial project for the benefit of the Houston Community.